There are several different types of laser eye surgeries. LASIK eye surgery is a procedure that corrects refractive errors in eyes which, in turn, corrects vision. A computer with a laser is used to accurately correct vision problems. The aim of laser eye surgery in general is to achieve 20/20 vision (having the ability to see clearly at a distance of 20 feet away, as a person with normal vision would), or better. 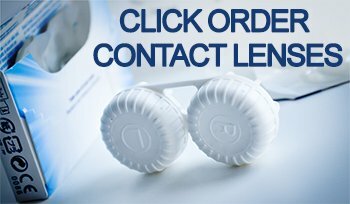 If you have trouble seeing and wear glasses or contact lenses on a regular basis, LASIK may be the right choice for you. Caused by aging, presbyopia is the loss of the ability to focus on close objects. Presbyopia is most commonly seen in individuals over 40 years of age. Presbyopia can be corrected with the use of reading glasses, but there are many benefits to permanently correcting presbyopia through LASIK. If you have experienced any of these symptoms, or have been previously diagnosed by a medical professional with myopia, hyperopia, astigmatism, keratoconus, or presbyopia, you may be eligible for LASIK eye surgery. Please note that not all individuals with myopia, hyperopia, astigmatism, keratoconus, or presbyopia are eligible to undergo treatment. All patients are different and candidacy is dependent on the health and age of the patient, based on their personal medical records. To determine whether you are a candidate for laser eye surgery, please book a free consultation or give us a call at 973-992-5200. Having performed thousands of LASIK surgeries over the last 10 years, our resident LASIK surgeon, Dr. Andrew Miller, will be happy to discuss your LASIK candidacy and answer any questions you may have. Myopia is also known as nearsightedness. When you are nearsighted, you view objects clearly at close proximity and objects in the distance with blurred vision. In cases of myopia, the eye is longer than usual and prevents light rays from correctly reaching the retina. Myopia is the most common eye problem in individuals worldwide and can be easily corrected with LASIK eye surgery. To correct myopia, a laser is used to flatten the cornea, allowing light rays to directly focus and reach the retina. The type and duration of laser used during this procedure is dependent on the patient’s prescription. This term refers to farsightedness. Hyperopia means that you have difficulty seeing close objects. In cases of hyperopia, individuals have an eye that is shorter than normal, which means that light rays swerve and depart before they have the ability to reach the retina, therefore making objects appear out-of-focus. To correct hyperopia, a laser is used to flatten the peripheral cornea and make the central cornea more curved. Causing blurriness of vision, astigmatism is a result of the cornea (or outer layer of the eye) being an irregular shape. Ideally, corneas should hold a baseball-like shape; however, individuals with astigmatism have a cornea in a football-like shape. Astigmatism can be found in many people with myopia or hyperopia.